We are all very excited for Old School Runescape and Runescape Mobil to be in the palm of our hands. Well at the recent Runefest there was a ton of stuff going on, but more information about Runescape Mobil was something that does not seem to have gotten the attention that us here at 2007runescapegold.com feel it deserves so we wanted to pass on some of the highlights. It Plays Really Well: While OSRS Mobile will be released first. At Runefest both OSRS and Runescape Mobile were playable. The reception was great (and this was without a UI!) and some players even made it all the way Telos! From what was said, it really is the full Runescape experience in the palm of your hand. 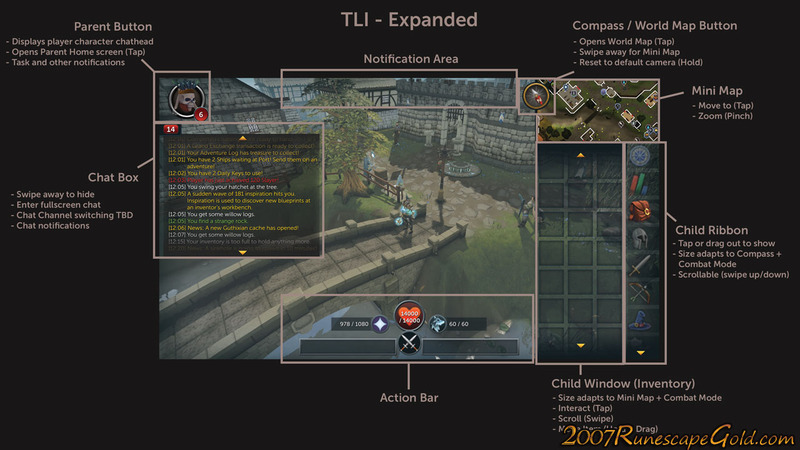 They Are Working On The UI: If you go to the official Runescape website you can see some of the mockups that they have for potential ideas for the UI for Runescape mobile. What is interesting about this is that Jagex is clearly very focused on not just making sure the whole game is available on mobile devices. But that it actually plays well, gameplay is something that complex MMO's struggle with on phones, but it is looking like Jagex are doing all they can to make it so Runescape plays just as good on mobile as it does on your computer. Alpha And Beta Tests Are Coming: Jagex says that the first wave of Alpha tests will be coming soon and shortly after people can expect to start getting their beta codes. Some people claim to have these already, but Jagex has said this is a flat out lie and no one does. We think Runescape coming to mobile is one of the most exciting pieces of gaming news this year. Just make sure when it does that you come here to buy Runescape Gold and buy Old School Runescape Gold as we are fans of the game like you and will make sure you are taken care of and get a great deal!